Science, History and Commerce -- All Together on One Gorgeous Note! 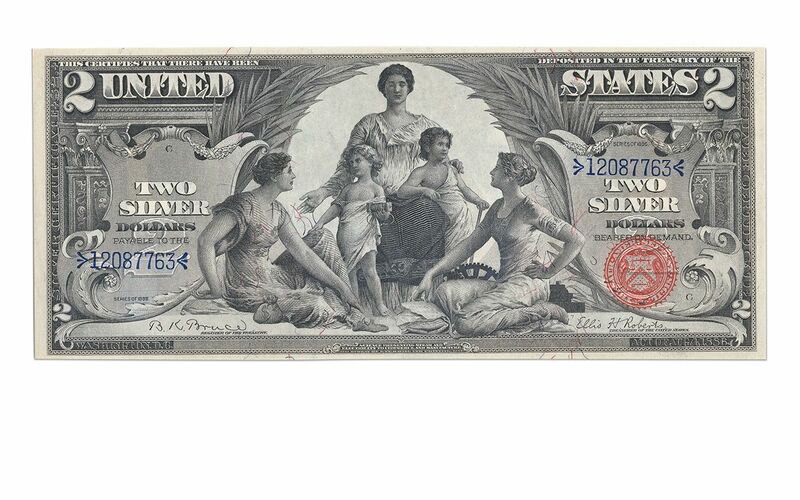 The series of silver certificates from 1896 are, without a doubt, among the most spectacular currency notes ever released. They're known as Educational Notes, because each depicts an allegorical figure "educating" youth. 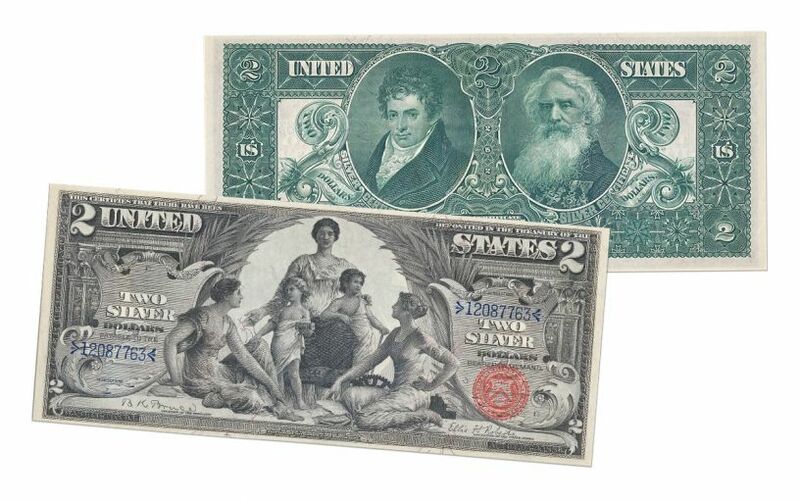 For the $2 note offered here, Science presents Steam and Electricity to Commerce and Manufacture. 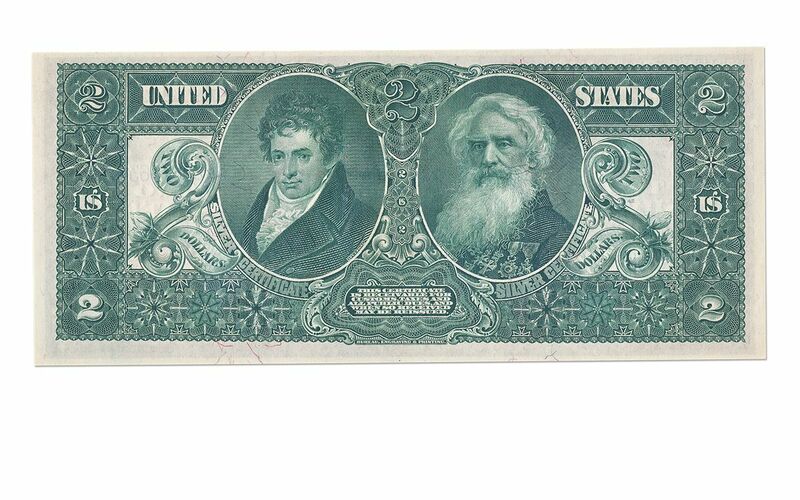 The reverse features intricately engraved vignettes of Robert Fulton and Samuel Morse. 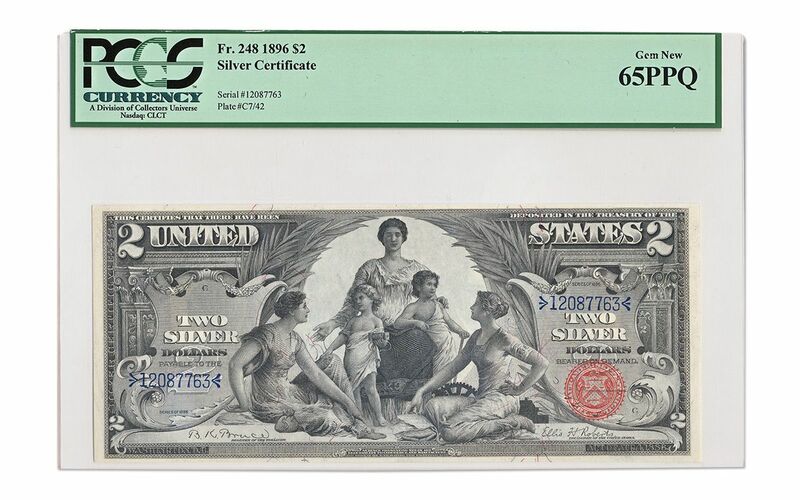 This note grades 65 PPQ (Premium Paper Quality), and is in the top 11% of all $2 Educational Notes graded by Professional Coin Grading Service (PCGS). It shows superb margins, awesome colors and crisp embossing. As #11 in the Top 100 Greatest Currency Notes, this amazing example can be the cornerstone of your world-class currency collection. But only if you grab it now -- you may never see another one this nice again!